The flyspeck on the windscreen becomes an approaching aircraft on a collision course in mere seconds; a missed symbol on a map or a runway sign turns into a mortal calamity; a simple error in reading an instrument is a life and death matter in moments. Is it any wonder that issues related to vision are of paramount interest whenever aviators gather? Their own lives and the lives of many others depend on their vision and on their ability to meld visual information, knowledge and experience into quick, effective action. Eyecare professionals (ECPs) need to understand the unique problems of aviators' vision, yet few of them have much in-depth information or experience with the special visual and eyewear requirements of aviation. 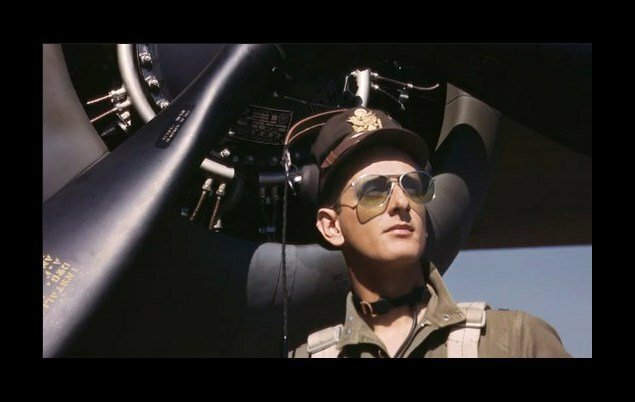 Correct frame choice, break resistance, absorptive properties, color recognition, glare and UV protection, anti-reflective properties, adaptation problems, contact lens use and presbyopia and its correction are only a few of the issues that should be given special consideration when designing eyewear for aviators. 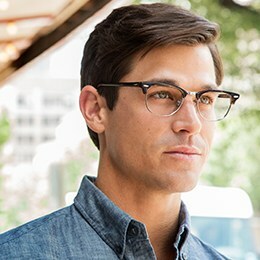 Frame choice - Is the lens area large enough for the aviator's scanning patterns? Aviators develop scanning patterns for VFR (visual flight rules) and for IFR (instrument flight rules). These patterns include distance seeing and near/intermediate seeing and they are specific for the instrument arrangements in each of the aircraft they fly. A lens area that is too small may require excessive head motion in order to maintain the needed scanning pattern. Even worse, using too much head motion or "nose pointing" for viewing can, under certain conditions, cause an illusion of motion that can result in the pilot turning his aircraft in the wrong direction. This illusion is based on a synthesis of information from the semi-circular canals with information from the visual system. Another issue related to the choice of frames is whether or not the temples will allow a proper sealing of the pilot's oxygen mask. Thin, flat metal temples or thin wire temples that contact the side of the head where the seal must form are usually the best choice. A primary concern is whether the temples will interfere with the headset. It is important to request that pilot patients bring their headsets, oxygen masks and even helmets if they use one, to your office to assure the finished eyewear will fit compatibly with their equipment. Acrobatic pilots and sports pilots who fly in open cockpit aircraft may need cable temples and a little extra wrap of the front because they sometimes turn their heads and lean into the slipstream, putting the eyewear at risk for dislodgement. Frames with thick, "blinder" temples or eyewires formed of wide, thick stock should be avoided because they unnecessarily block more of the pilot's peripheral vision than frames constructed of thinner materials. Lens material - If the eyewear used for flying is not the same as the patient's dress eyewear, it is advisable to match the MRP position relative to the pupil, the base curve, center thickness and the index of both sets of eyewear. Although it is not common for birds and other foreign materials to penetrate aircraft windscreens, it does happen. Because of this, safety eyewear, with its superior break resistance and superior ability to resist the lenses being dislodged through the back of the eyewire, should be discussed. To be true safety eyewear both the lenses and the frame must meet Z87 safety eyewear specifications. If you have strongly recommended safety eyewear and the patient insists on non-safety, it is a good idea to annotate the patient's record that they have insisted on non-safety eyewear and jointly initial that comment with them. Both polycarbonate and Trivex offer superior break resistance even in dress frames and should be considered for every pilot. Keep in mind that polycarbonate will be thinner in higher prescriptions, but Trivex, because of its lower reflectance, will have higher light transmission and reduce ghost images. Although polycarbonate has a very low Abbe value, the image degradation due to chromatic aberration is related to both the Abbe value and the amount of prism at the point the line of sight passes through the lens. A low Abbe value is most likely to cause a problem when there is a large lens, high power, and/or significant decentration. It should be kept in mind that pilots may be very acute observers and the quality of the retinal image may truly be a more critical issue for pilots than for other patients. 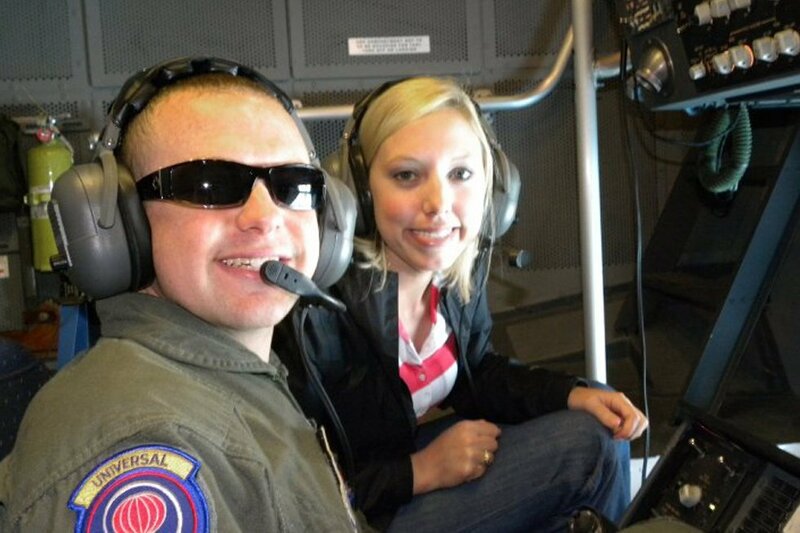 Sunlenses - Comfort and visual performance under high illumination is a consideration for pilots. Although at about 900 foot-lamberts or less, wearing sunglasses will not improve visual performance much, but they may reduce fatigue. Discomfort glare is simply glare that causes discomfort due to too much light entering the eye. It is also called sensory overload glare and it begins above 1,000 foot-lamberts of luminance. Discomfort glare impedes visual performance and has been shown to decrease reaction times. At 7,000 foot-lamberts (as bright as the sky ever gets except near the sun) sunglasses improve both performance and comfort. Retinal Illumination Issues - ECPs prescribing tinted lenses need to keep in mind that the amount of light reaching the retinal receptors determines how the retina functions. Under certain conditions the normal eye has not one but two blind spots. The 5° by 8° blind spot that represents the optic disc is always present, however there is an area of about 1° in the center of the fovea that contains only cones. The cone retinal receptors only function at higher levels of illumination i.e. daylight, which is photopic vision and at "twilight" levels, which is mesopic vision. At low levels of illumination only the rods are able to function. This is called night or scotopic vision. During night vision the central 1° of the visual field is functionally blind because the cones are insensitive to such low levels of illumination. Interestingly, since rods are insensitive to red light, red lights at low levels of retinal illumination are invisible. Aviation vision experts recommend an even transmission of 15 percent across visual spectrum as best for pilots' sunlenses. This yields a gray or neutral shade, and should not be dark enough to cause a shift to scotopic (i.e. night vision) retinal functioning, nor should it affect color discrimination in pilots with normal color vision. Color vision is important for aviators. Sunlenses that selectively block some wavelengths of visible light can be a problem for pilots because they can give rise to mild color discrimination difficulties in individuals with normal color vision and may greatly reduce color discrimination in those with severe color vision defects. Because of this, an ideal tint should evenly reduce transmission across the visible spectrum. Some pilots may prefer "blue blocker" lenses since they eliminate light scatter caused by light in the blue range of the spectrum. According to Michael H. Mittleman, OD, MPH, a U.S. Navy optometrist and private pilot, yellow lines that mark runway obstructions or closed runways may be difficult or impossible to see through some blue-blocking lenses. Pilots who insist on using blue-blockers or other lenses that selectively eliminate some wavelengths should be made aware of the limitations of these tints. UV - Ultraviolet radiation is a well-documented risk factor, and there is about a 4 percent increase in UV with every 1,000 feet of altitude. Although aircraft windscreens block some ultraviolet, UV blocking lenses should be used for aviators. This is a particularly important issue for balloonists and those who fly in open cockpits. Anti-reflective - The optics of anti-reflective lenses consistently outperform non-anti-reflective lenses. Their reduced reflectance means a reduction in distracting, tiring "ghost" images particularly in lower power prescriptions. The higher transmissions of anti-reflective lenses can be important for night flying. Older aviators may benefit especially from increased transmittance because aging retinas require relatively more light to function efficiently at lower levels of illumination. Anti-reflective sun lenses have the advantage of reducing back surface reflections and should be considered for every pilot who wears sunglasses. Suggest ones that have a good hydrophobic coating for ease of cleaning and less fogging. Polarizing Lenses - FAA regulations preclude the use of polarizing lenses. Birefringence, the phenomenon that causes the waffled appearance of some automobile rear windows when they are viewed through polarizing lenses, may cause "spotty" optical performance of some aircraft sunscreens. Additionally, light reflected from approaching aircraft at or near Brewster's angle (the angle of reflection that gives maximum polarization) may render the aircraft undetectable through polarizing lenses. Polarized lenses will make many of the new digital displays impossible to see. Adaptation - Adaptation to a new prescription presents potentially dangerous complications for a pilot. We are all familiar with patient complaints of scooped-out, humped-up and "everything is tilted" illusions that occasionally occur with newly prescribed lenses. Curvature, index, vertex distance and thickness as well as power affect the size of the retinal image. Attempts to fuse right and left retinal images that differ unexpectedly in size and shape often cause the most problematic complaints of distortion. Trashing the left side of the family Ford because the garage opening appears to be trapazoidal is a minor incident compared to the result that the same illusion could have on a pilot's landing approach. Prescriptions in the pilot's aviation eyewear should be changed simultaneously with the dress eyewear Rx because this eliminates re-adaptation problems of switching between different prescriptions. Aviators who utilize "special eyewear" for piloting should have lenses that match their "dress lenses" in curvature, thickness, index, MRP locations and positioning (wrap, pantoscopic tilt and vertex distance) as well as in prescription. Lens induced illusions may be especially troublesome when clues that keep us centered, upright and accurately localized in our environment as we walk about on the ground are absent - as in trying to take-off, fly and land an aircraft. Prescriptions with increased plus power may be especially troubling for younger pilots, and increased cylinder, particularly with an axis change, is prone to cause spatial distortion complaints. Simple techniques to speed adaptation include eye-hand coordination tasks such as pitch and catch with a bean bag or softball, walking on uneven ground and using increased illumination for reading tasks. Pilots should always be cautioned about changes in visual perception that can accompany new lenses. Time should be spent in the cockpit (or flight simulator) becoming thoroughly accustomed to the new eyewear before actually flying with it. Presbyopia - This compounds the problems of aviation eyewear to a considerable degree. Not only must you consider the issues of distance vision, but the direction of view and various distances for instrument scanning and reading charts, approach plates, flight plans and checklists must be taken into account. The American Optometric Association (AOA) offers a diagram that pilots can use to accurately determine and communicate their near and intermediate vision needs. (Visit www.aoa.net.org for more information about aviation vision.) Pilots and ECPs will find this diagram helpful, however care must be taken to complete the measurements with the pilot's seat adjusted in the position(s) that they normally prefer. ECPs should be aware that pilots may have a "seat forward" preference for take-offs and landings and a "seat back" preference when operating the aircraft on long flights. A separate form should be completed for each seat position as well as for each aircraft the pilot operates. Typically pilots develop an instrument-scanning pattern they carry out repeatedly. Segments, the areas in the lens that contain the near reading prescription, must be large enough to accommodate an instrument-scanning pattern without causing either excessive head movement or interfering with the distance vision scanning pattern. Many aircraft have overhead instruments. The most obvious choice in this case would either be an upper and lower seg arrangement or a quadrafocal, depending on the range of near vision needed. The usual separation between upper and lower segs is either 13 or 14 millimeters. Assuming a center of rotation distance of 13.5mm from the apex of the cornea, a 13.5mm vertex distance and a 13mm vertical separation of the segs, there can be only about a 26.5° vertical shift in the line of sight from the point at which it intersects the lower seg to the point at which it intersects the upper seg. This may not allow an adequate distance vision window unless the pilot includes a constant head nodding as part of his distance vision scanning pattern. Keep in mind this window of distance vision will be larger for short vertex distances and smaller when the vertex distance is longer. An alternative method for correcting with upper and lower segs is to use a front surface, cement seg for the upper add and placing it so a larger distance window is created. For accurate seg placement the intended frame and a transparency marker of the kind used with overhead projectors can be loaned to the pilot so he can mark the intended seg position while he is in the cockpit. According to John F. Kent, OD, FAAO, a member of the AOA's Aviation Committee, the best seg location will be to place the seg line at the top of the instrument panel or just below the glare shield that shades the instruments. Fresnel press-on lenses can be trimmed to the seg size and loaned to help in getting the seg placement just right. Typically, presbyopes, whether they receive conventional segs or progressive addition lenses, use more head movement to achieve clear vision at various distances than they did prior to the correction of the presbyopia. These patients should be cautioned that head movement in IMC (instrument meteorological conditions) can cause several disorientation and vertigo. In fact, inappropriate head movements in IMC will cause these effects regardless of whether the pilot is presbyopic or not. Presbyopes are just more likely to inadvertently make such head movements in attempting to use or avoid their segs. Progressive Addition Lenses - Some pilots wear PALs quite successfully, however, unlike driving an automobile - a task in which peripheral vision is used to detect important objects of importance in their visual field - the pilot is faced with detecting important visual information that often subtends a too small visual angle to be picked up by the peripheral retina. Because of this a distance scanning pattern is used to assure that objects of importance will fall on central retinal areas. If your aviator-patient is flying successfully with PALs, there is no compelling reason to change to a non-PAL, but be cautious about the PAL you select for new eyewear. Peripheral distortions in PALs can cause spatial disorientation problems for acrobatic and crop dusting pilots. The peripheral distortions can also reduce acuity when the line of sight passes through the lens periphery - a condition which may require that the pilot's scanning pattern include more head movement. If you are designing eyewear for aviation use and it appears that the lens formulae were simply written for distance vision and a "normal" reading distance, you must consult with the doctor to be sure that the add powers in the aviation eyewear is appropriate. Contact Lens - Contact lenses have the advantage of not interfering with headsets or other equipment, however the aviator should always have conventional eyewear at hand-just-in-case. The aviator should be cautioned to be fully "flying adapted" to the conventional eyewear and should be instructed to practice donning the eyewear in flight. Safety eyewear to be worn over the contacts is an important point to be covered with balloonists and open cockpit aviators. Multiple Pairs - Pilots should always have a pair to wear and a spare that can be easily reached in the cockpit if they are dependent on their lenses to safely operate their aircraft. For pilots who operate more than a single aircraft it may be necessary to use different lens designs for each aircraft. Designing eyewear for aviators is challenging in many ways. The design options you offer (for even relatively small improvements in visual performance) can make a life or death difference - and your aviator patients know it. Be assured that your expertise and special efforts in the interests of safe flying will be recognized and deeply appreciated. Palmer R. Cook, OD is director of education for Diversified Ophthalmics in Cincinnati. Special thanks to Martha Lunken, safety program manager of the Federal Aviation Administration's Cincinnati Flight Standards District Office and to Bill Norwood, senior vice president of JDA Aviation Technology Solutions, for their assistance in the preparation of this article.